The OC Mama: Got something to sell? Recently I was researching website hosting and shopping carts for my work from home business. Most of you know I make bows to sell on ebay. The fees are pretty expensive, so I have been looking into setting up my own website and selling stuff on my own. Every website needs some kind of shopping cart software. It’s so much easier to take credit cards and have a shopping cart, than to have customers email you their orders. It’s also much more professional looking. With shopping cart software you can set up a whole online storefront. This website is the solution for people who want to sell online. The site is very simple to use, and there is even a demo store on the website that you can use to test drive the product. When you choose to set up your ecommerce software through ashopcommerce.com you will receive ongoing upgrades and updates at no additional charge. Top quality hosting is also included, and it’s generally cheaper than doing it separately. 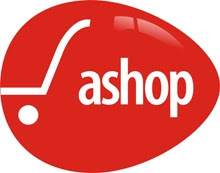 Overall if you have a product to sell, and want to do it online, you should research ashopcommerce.com.